Wisconsinites encountering spiders they might find threatening often wonder if they've found either a brown recluse or black widow spider. Wisconsin is home to approximately 500 species of spiders, but they are essentially all harmless, beneficial creatures that provide an astonishing amount of free pest control. 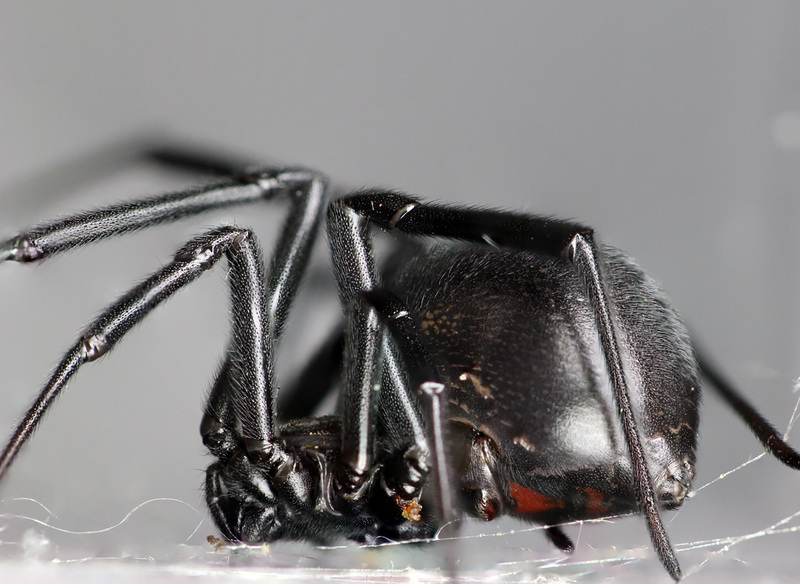 While the state is outside the native range of the horribly misunderstood but still dreaded brown recluse spider (Loxosceles reclusa), it is actually home to a native black widow species — the northern black widow (Latrodectus variolus). In Wisconsin, these spiders are rare and have been documented in fewer than 10 counties. Most Wisconsinites will go their entire lives without seeing a northern black widow out in nature, and those who are lucky enough to spot one of these elusive creatures will almost certainly encounter a lone individual. In contrast, there are several other widow spiders that can be much more common in other parts of the United States. The vast majority of black widow reports in Wisconsin are from counties in the east-central part of the state. Door County historically stands out as having the most confirmed sightings and perhaps could be considered Wisconsin's black widow "capital" — although only a few sightings occur in most years. The northern black widow doesn't seem to reside farther north under natural conditions, which suggests an inability to survive the colder winters in the northern part of the state. Along these lines, Door County's unique geography and the moderating effects of Lake Michigan may explain why the majority of reports come from that part of Wisconsin. Similarly, other confirmed reports of the northern black widow tend to be from nearby counties that also border Lake Michigan. Away from the lake, northern black widows have also been documented in prairie areas in Sauk, Crawford and Grant counties, where the microclimate on south-facing slopes may favor their survival. While the University of Wisconsin-Madison Insect Diagnostic Lab typically receives one or two reports of black widow spiders each year, 2017 stood out in the sheer number of reported sightings. Mike Draney, an arachnologist at UW-Green Bay, works with the lab to monitor spider species like the black widow. During some stretches of 2017, he exchanged reports of black widows with the lab once or twice a week! The reports generally came from Door County and nearby areas, but these spiders were also documented in Brown County and Sheboygan County for the first time. Winter weather patterns might explain the distinct bump in northern black widow sightings. Leading up to 2017, Wisconsin experienced two consecutive mild winters, which might have favored insects, spiders and other creatures that fare better in slightly warmer climates. While the state did see an increase in reports, it’s not yet known if that trend will continue in 2018 following the most recent, colder winter season. Northern Black Widow Is Rare In Wisconsin, But Sightings Spiked In 2017 was originally published on WisContext which produced the article in a partnership between Wisconsin Public Radio, Wisconsin Public Television and Cooperative Extension.